Everton have announced that two stands at Goodison Park will be renamed after former player and manager Howard Kendall and ex-chairman Sir Philip Carter. The stands behind the goals at the stadium will now be known as the Howard Kendall Gwladys Street End and the Sir Philip Carter Park Stand in honour of the pair who both passed away last year. 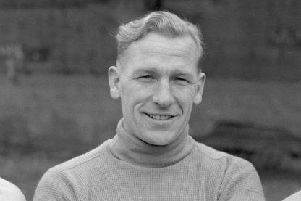 Kendall, the most successful manager in the club’s history, had three stints in charge of the Toffees, winning two league titles having claimed a championship winners’ medal as an Everton player too, while Carter was chairman throughout that successful period in the 1980s. “Howard Kendall and Sir Philip Carter are two of the greatest Evertonians of all time,” current chairman Bill Kenwright said on the club’s official website. “Standing firm together through one of our lowest periods, they remained proudly united to lead us through the most successful period our great club has ever enjoyed. Everton have explored the possibility of moving to a new site in their quest to play in a larger stadium, though the club confirmed that the two newly-named stands will be known by their current names for as long as they remain at Goodison Park.